Popular Healthy Food Company chain Chopped is to open in Naas. It is part of a massive development currently under construction across from the Monread Shopping Centre. 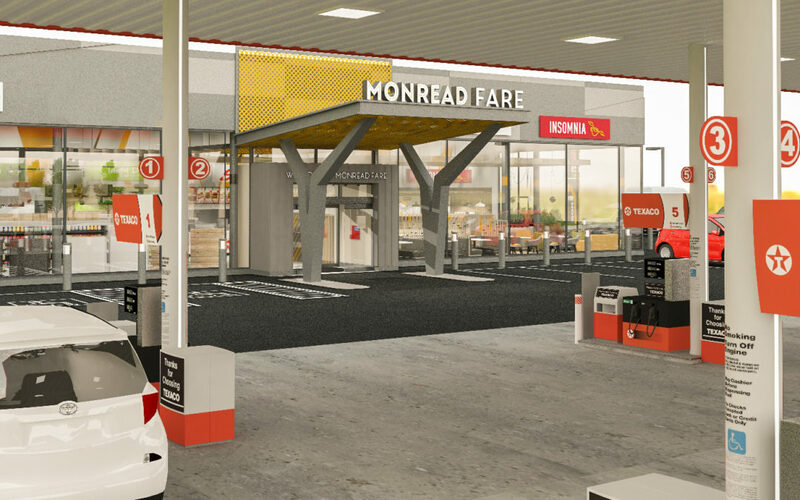 Monread Fare, a new retail/filling station business, will open this June. There will be a Texaco filling station with a dozen pumps, a Spar convenience store, a Papa John’s Pizza outlet (which is part of the Supermacs business), The Chicken Guys, Chopped and an Insomnia cafe. It’s being developed by Kildare based Lidon Group, who already run some successful Service Stations including Junction 14 Mayfield, M3 Mulhuddart Services and Fitzpatrick’s New Lodge in Monasterevin. Chopped has one other store in Kildare, located at the Whitewater Shopping Centre.